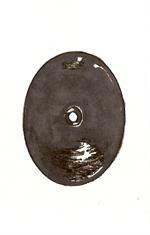 Appearance on the Outside of Merino Ram Horn. Represent the Color & Markings of Real Ram Horn. 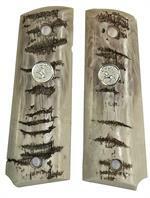 These Are Not Real Ram Horn! Will Not Chip, Shrink, Bow, Twist or Stink! Revolvers: Complete with screws and escutcheons. 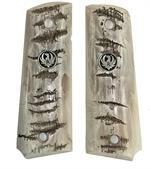 Ruger SR1911 Reproduction Ram Horn Grips. Grips Also Fit Colt 1911 & Clones. Ruger SR1911 Auto Repro Ram Horn Grips With Medallions. Grips Also Fit 1911 Clones. 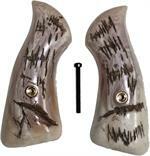 Colt 1903 .32 Pocket Hammerless & Colt 1908 .380 Pocket Hammerless Reproduction Ram Horn Grips. 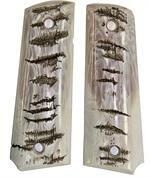 Includes Special Screw Set Installed. 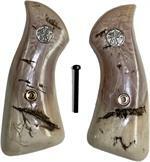 Colt 1903 .32 Pocket Hammerless & Colt 1908 .380 Pocket Hammerless Reproduction Ram Horn Grips With Medallions. 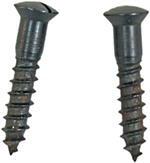 Includes Special Screw Set Installed. 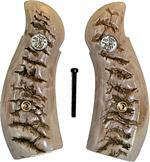 Uberti Old Model P 1873 Repro Ram Horn Grips. Also Fits New Sheriff, 7th Cav & Artillery & New Model Uberti Cattleman. 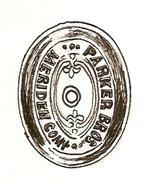 Does NOT Fit Old Model Uberti Cattleman. 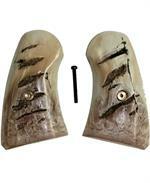 Colt Detective Special Repro Ram Horn Grips, 2nd Model, Half Frame With Medallions. Pietta 1873 SA Revolver Repro Ram Horn Grips. 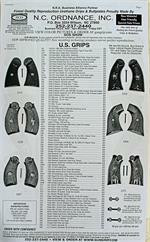 Grips Also Fit EMF 1873 SA Great Western II Revolvers. 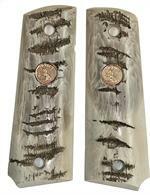 Colt Python I Frame Reproduction Ram Horn Grips With Gold Colt Medallions. Grips Also Fit Army Special, Official Police & Officers Model Match.